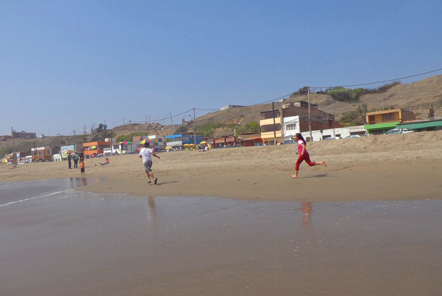 Every month the Community Education project in Peru arranges a day trip into the surrounding area to help the children gain confidence, life skills and give them a chance to relax and have fun away from their daily challenges. The aim of the Community Education project is to help educate children aged between 6 and 18 who are deemed ‘at risk’ of dropping out of the public school system due to poverty or lack of family support. By providing the children with school uniforms, study materials and school fees they also ensure that there are no barriers in the path of education. 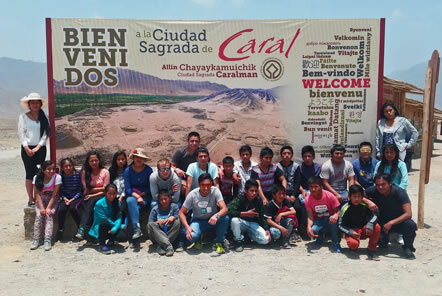 “On Tuesday we went to Caral with a group of about 25 from the Community Education project for a cultural trip. This location is located 4 hours outside Huaraz in a desert area that was home to an ancient civilization of people as long as 5000 years ago. 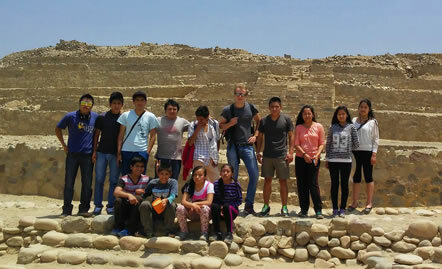 Splitting into two groups, we went with a guide around the ruins and pyramids to learn about the ancient lifestyle and infrastructure. As the sun was relentless with no clouds to shield us, we were happy to finish the trip with ice cream.